Secret Agents of Sense is the third issue of the new-format MPT – an extraordinary variety of voices, cultures and languages in a beautifully designed magazine. 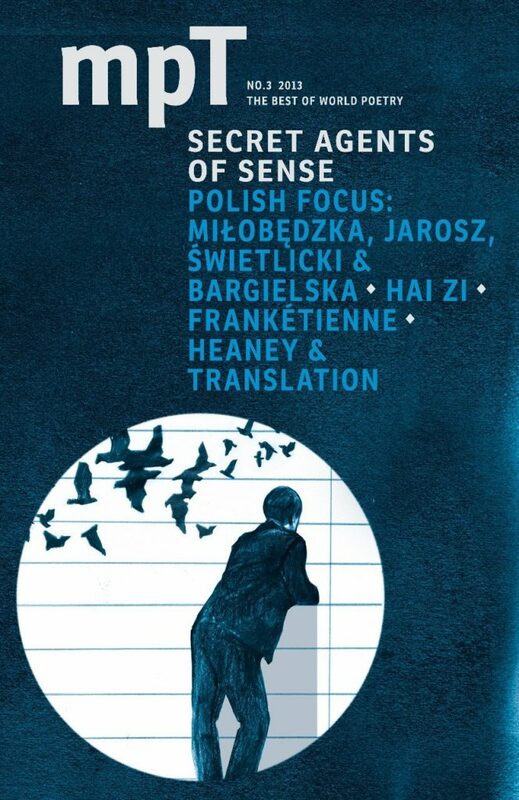 The title Secret Agents of Sense comes from an exclusive essay by Polish critic Wojciech Bonowicz on contemporary Polish poets. Secret Agents of Sense includes: A focus on Polish Poetry. New translations of Krystyna Miłobędzka, Marcin Świetlicki, Justyna Bargielska, Łukasz Jarosz & Wojciech Bonowicz. Tributes to Heaney by poets Gerard Smyth & David Constantine. New translations of Haitian writer Frankétienne, Tanzanian poet Euphrase Kezilahabi, German poet Sarah Kirsch, Ciarán Carson’s only published poem in Irish.